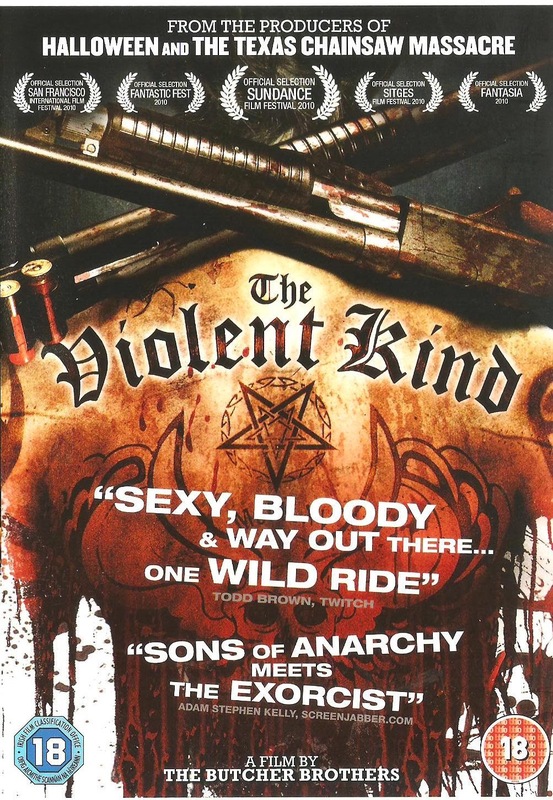 I'm not that keen on Westerns. 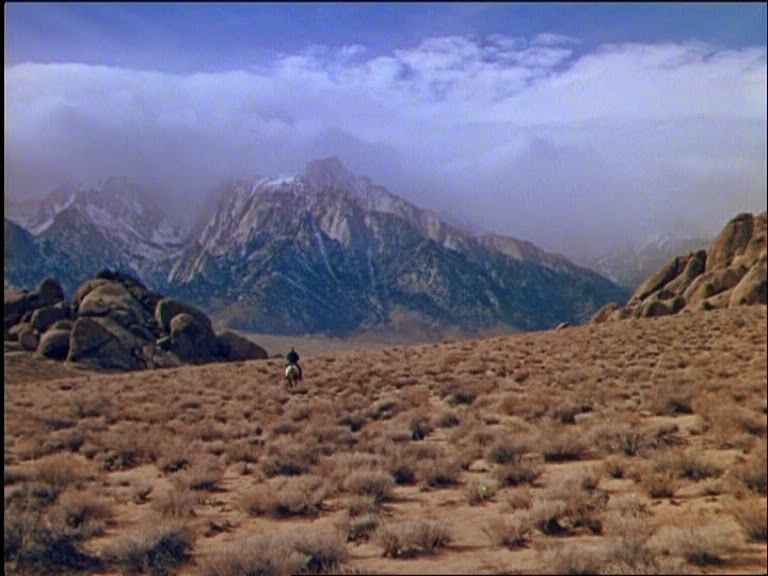 Spaghetti Westerns, yes, but not your usual run of the mill Western. (Perhaps that's why this is my first review of one.) 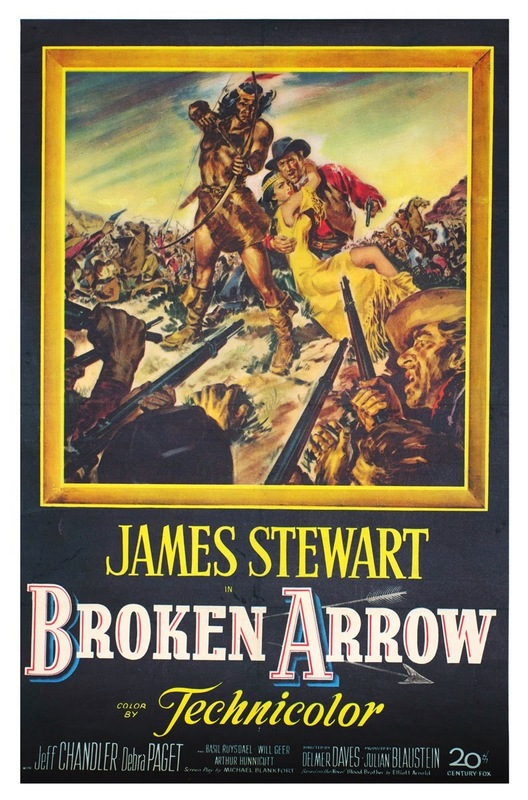 So when Broken Arrow came up as James Stewart's randomly selected entry for the FA Cup of Actors, I was skeptical and thought that maybe Jamel Debbouze was in with a chance of nicking this match. James Stewart plays Tom Jeffords in his standard Mr Smith Goes to Washington style (and there's nothing wrong with that). 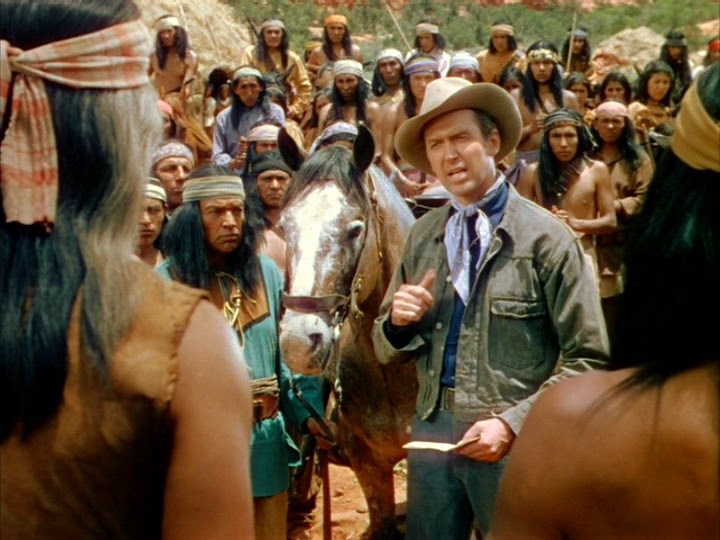 In a twist on the average Cowboys and Indians film where the Indians are subjected to genocide by our heroes, Jeffords befriends his Native American chums on the basis that he's sick of all the scrapping, so he wants everyone to kiss and make up and generally get along with each other. 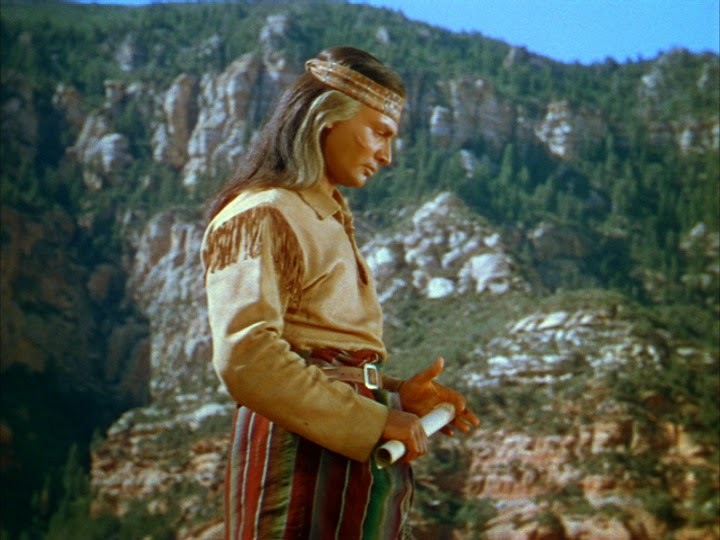 Funnily enough, Cochise (Jeff Chandler), the leader of the Apaches, is suspicious of this outsider and his American buddies want to give him a good kicking for knocking about with untrustworthy savages. It doesn't help that he falls in love with Sonseeahray (Debra Paget). Let's start off by getting rid of the obvious problem of the filmmakers using white actors made up to look like Native Americans. It was made in the unenlightened 1950s so we can forgive them this error. But let's face facts, we're better than that now: it would be completely offensive to peddle that kind of thing in current times, especially if you were a massive family film studio, like Disney perhaps. The plot made for a welcome change and I found myself enjoying it despite my misgivings. The scenery is stunning on occasions and for once The Native Americans aren't portrayed as scalp pilfering psychos but as a mostly noble, honourable group of people. There are a few wrong 'uns but that's fair enough. The settlers meanwhile are generally big racists. 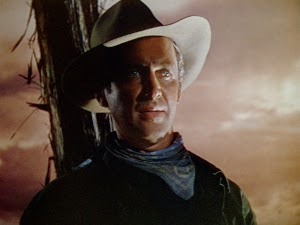 James Stewart is a consistently bankable fellow and his performance here is no exception. Obviously I haven't seen all of his films but I'm betting that they're all eminently watchable. Here though, he is matched by Chandler, perfectly cast (apart from the skin colour issue) as a strong leader who is willing to negotiate a peace treaty. Paget meanwhile looks a tad young to be Stewart's love interest. In fact, she was born in 1933, so she's only seventeen at most. All a bit dodgy. We return to rank outsider Jamel Debbouze who managed to impress with his first round effort, Outside the Law, in this year's FA Cup of Actors. He is up against some stiff opposition in this match though (James Stewart) so he better be on top form if he wants to be a giant killer. Here he is then in Let's Talk About The Rain. Agathe Villanova (played by the director) is a politician being interviewed for a documentary by Michel (co-writer Jean-Pierre Bacri) and Karim (Debbouze). 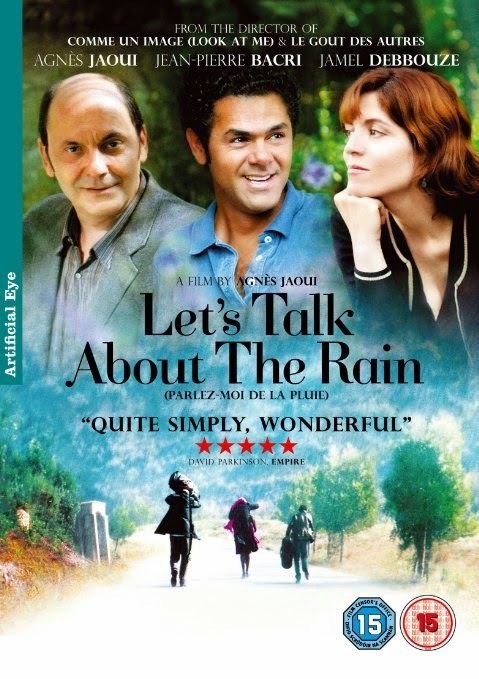 Agathe's sister and her husband, plus Karim's mum, get thrown into the mix and the relationships get increasingly complicated due to numerous affairs. None of the characters are particularly happy throughout the majority of the film but will they attain a greater level of contentedness by the finale? The first half an hour or so is not that engaging and, as you've probably guessed, it takes a while to work out who's who and what their initial relationships are to each other. But once everyone has been identified things start to improve and it develops into a pleasant little tragicomedy that manages to raise a few smiles. One of the most amusing characters is the sister's husband. His son is choking so Michel deals with it with a good hearty slap to the back. Problem solved. But no. Laddo complains that he did it wrong. He should have used the Heimlich manoeuvre. Brilliant idea mate. Give him serious internal injuries rather than try a less harsh method first. Top parenting. He also moans at his wife for that most heinous of crimes: reading in bed. They really should bring back the birch. Okay, so maybe he's more irritating than amusing, but I laughed at him regardless. 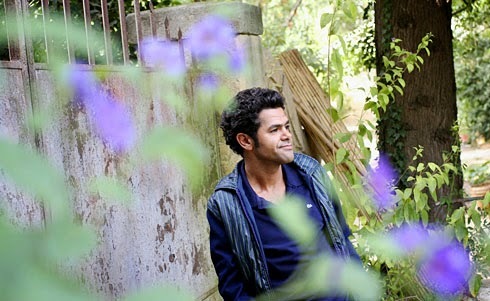 A slightly more traditional comic figure is Michel, who makes documentaries for a living. He is truly a premium quality professional; he doesn't press record before the interview starts and misses getting some cracking footage and has a tendency to be generally incompetent. But at least he's got the cheeky fellow Debbouze to help him out. He's his usual likeable self and shows that he has a wider range than just war films. Subtlety is the key here as he contemplates having an affair with his co-worker. He is completely believable and is in good company with an equally impressive cast. I wasn't looking forward to his films at the start of this competition but he's managed to get past my gruff miserable shield and be adopted as one of obscurendure's favourite actors. 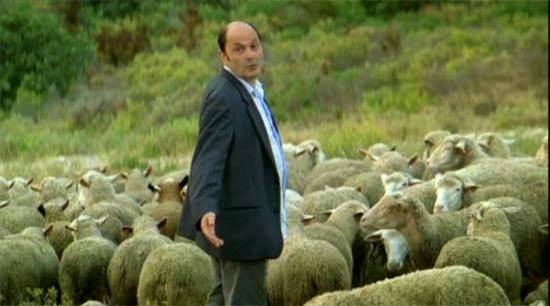 The film deals with the lofty themes of depression and the role of women but it still manages to throw in a sheep gag. And no, not a dirty one. Dear me. The comedy here comes from the noise they make and their ability to follow people down country lanes. 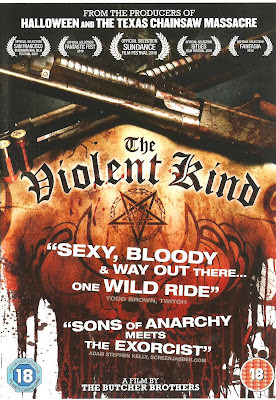 I did say that it was a pleasant little film. Look At Me, Two Days, One Night. 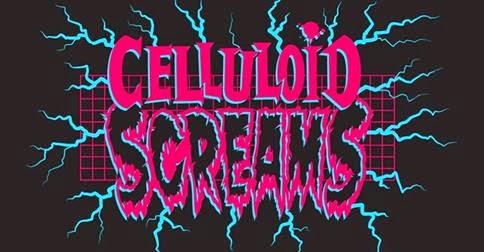 Despite not feeling great, I managed to drag myself along to Celluloid Screams this year, although I did have to miss a fair few films including the allnighter (Bride of Re-animator, Maximum Overdrive, Night of the Creeps and Killer Klowns from Outer Space). The only film that I missed that I wouldn't have minded seeing was Night of the Creeps but I'll get that on DVD soon. 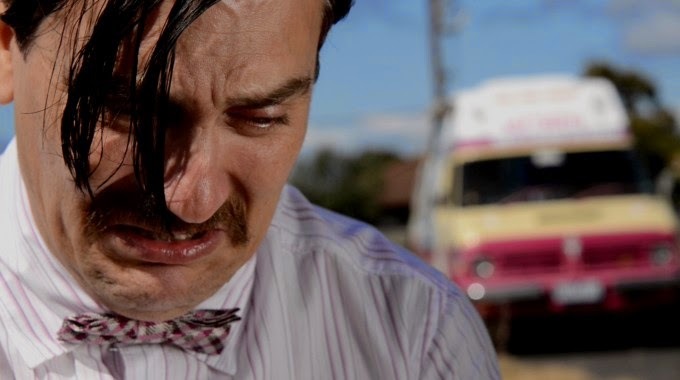 I missed two of the new films ABCs of Death 2 (I haven't bothered to see the first, it really doesn't interest me) and What We Do In The Shadows which went on to be voted as the best film of the festival. I'd watched the trailer which was supposed to be funny and didn't raise the merest glimmer of a smile. I didn't look like my sense of humour so I didn't bother. The Editor - Tribute/parody of giallo films that despite my love of the genre didn't raise a smile and bored me silly. 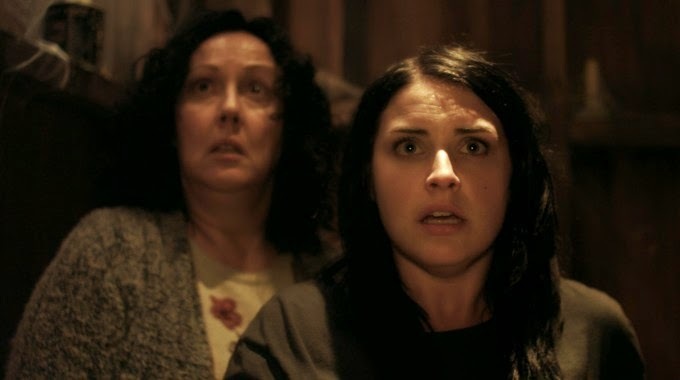 Housebound - Horror comedy from New Zealand that had an unlikeable first half but picked up in the latter stages to attain the lofty heights of averageness. Creep - Disturbing and, well... creepy, this had some effective scenes and a quality wolf mask named Peachfuzz but was a tad reliant on cheap scares. Chocolate Strawberry Vanilla - Repetitive and dull for the most part, this could have been a lot better if there had been more killings in the second half once the main character of the ice-cream man was established. 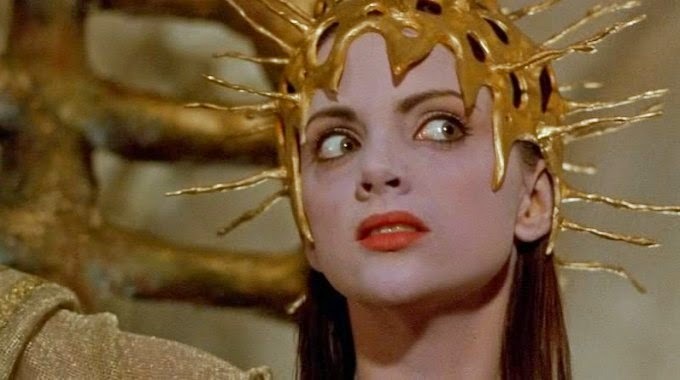 Starry Eyes - Rather than watching this low contrast dirge fest watch Black Swan or Mulholland Drive instead. Spring - Initially engaging love story that plummets down the ratings due to the second half dragging on for what seemed like years. Society - It's a fair while since I've seen this but it holds up pretty well; the shunting is still fairly disgusting. Suburban Gothic - From the director of Excision, this horror-lite film is more of a quirky comedy love story type thing but it does manage to have one really funny line from Ray Wise. Dagon - Despite some early ropey CGI work this manages to be atmospheric and brutal especially in the face removal scene. Asmodexia - Really low quality exorcism film that was a real disappointment as the secret film. 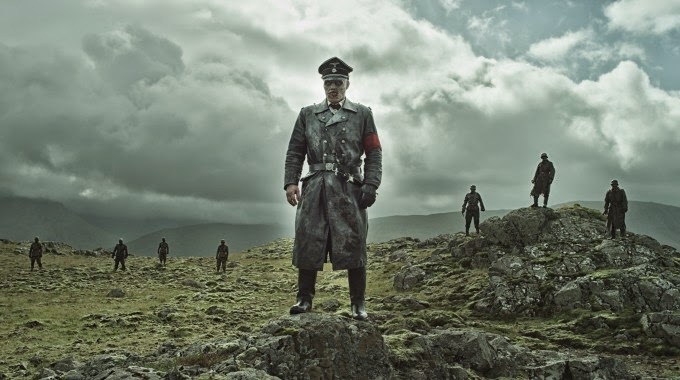 Dead Snow 2 - I wasn't that enamoured with the first and this hasn't done much to change my opinion but maybe with a bigger budget (for more zombies) it could have tipped into above average.